This election is going to be a nail biter... or cause us all to go off of our diets in an extreme way. Whether a candidate is left of center, right of center, or a member of a third party, the evening of November 6 will be the culmination of a lot of long days and nights campaigning - and a time to celebrate wins, commiserate around losses, and... maybe stress eat a little? What do you stress eat on the campaign trail? Where will your returns party be on election night? We only ask the toughest questions here in Bits and Bites. 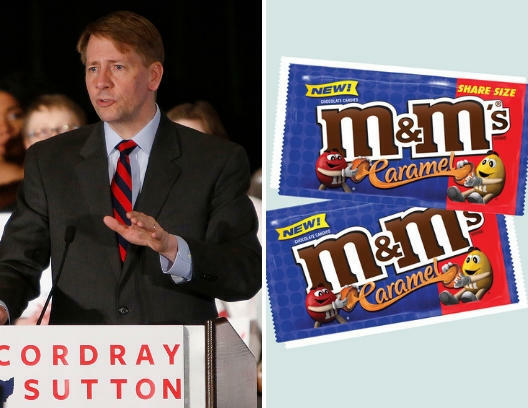 Cordray loves caramel M&M's, grapefruit juice, bananas, and chips, according to press secretary Mike Gwin. He'll take in election night returns at the Ohio Democratic Party's event at the Hyatt Regency Columbus, along with Sherrod Brown and other statewide candidates. 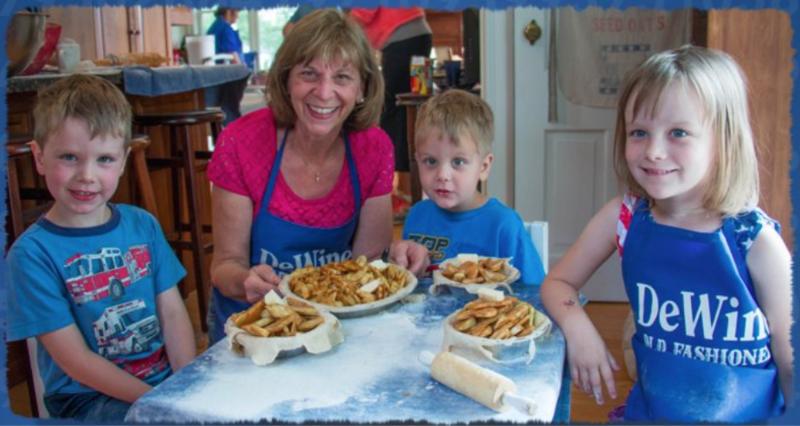 Fran DeWine, pictured with some of her grandchildren, brings booklets of her favorite recipes to distribute on the campaign trail. DeWine isn't much of a junk food eater, but according to campaign spokesperson Joshua Eck, his favorite food "at the end of the day" is his wife Fran's fruit pies. DeWine will be at the Ohio Republican Party's event in Columbus, at the Sheraton Capitol Square. The Green party's Constance Gadell-Newton and Libertarian Travis Irvine had not responded at the time of publication. Renacci likes to eat Italian food, according to communications director Brittany Martinez. His celebration will be at Galaxy Restaurant in Wadsworth, Ohio, near Akron, whose menu does include a few Italian dishes for Renacci to enjoy during the returns. Sherrod Brown's campaign had not responded at the time of publication. "Oh, this is bad: Chipotle," he tells WVXU. Steve Chabot's campaign had not responded at the time of publication. According to his campaign manager, Andrew McAfee, earlier this week they visited Graeter's in Mariemont where Wenstrup got a scoop of Black Raspberry Chip and a scoop of Chocolate Chip. He will share an election night party with Steve Chabot at the Backstage Event Center. Schiller has campaigned across the eastern portion of her Ohio district, where campaign manager Scott Allison says she has discovered "all of the great food in OH-02!" Her go-to? Zip's in Mt. Lookout, where she likes a Zipburger, fries and club soda with lemon. Her election night party will be held at Fueled Collective in Norwood. "I have purposely really amped up the exercise and regular sleep," says Aichholz, a first-time candidate. "But I will say I have eaten more Graeter’s Mocha Chip and Black Raspberry Chip ice cream than I normally do!" Aichholz does not have her own party, but will alternate between Chris Monzel's party at The Taft Center and Steve Chabot and Brad Wenstrup's shared party at The Backstage Event Center. Parikh, another first-time candidate, had a very quick answer: "Root beer (this is critical), 5-way, and one cheese coney with mustard and onions is my meal." "I've been stress eating espresso Bellevitano [cheese], Halloween candy and, of course, wine," says Ghiz. "Thank God Halloween is over and the candy has been safely removed to my office for others to eat!" Ghiz won't be attending any election day events; instead, she'll be putting her boys (George, 10 and Andrew, 7) to bed and watching the election returns at home: "I may have a very hard time getting George to sleep before he knows something!" "Ha! Do I have to answer such a thing?" He kindly suggested candidates to contact, and you can ask him yourself at the Hamilton County Republican's event at the Backstage Event Center. "During the last weeks of a campaign, I do tend to reach more for cheese and crackers," says Pillich. "And anything my husband puts on the table - he loves to make sure I've had at least one real meal a day." There is no county-wide Democratic event, so Pillich and co-chair Gwen McFarlin will attend various candidates' events across the county. The midterm elections are November 6, and WYSO has been traveling around the Miami Valley talking to would-be voters. 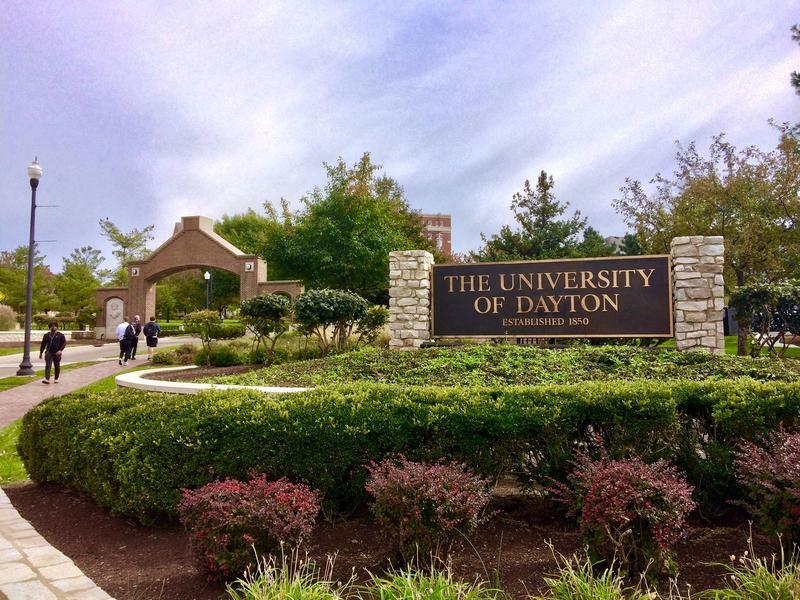 Today, we bring you voices from the University of Dayton campus, where WYSO community news producer Jason Reynolds surveyed students about whether they plan to vote next Tuesday. For all of WYSO's elections coverage, visit wyso.org. Yes, there are a whole lot of candidates – and both major political parties – who really want you to take advantage of early voting in Ohio.